I am Nivid: Holi Hai......!!!! I am Nivid. 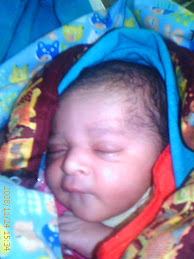 I was born on 24th of November 2008 at 9.45 AM. This is my space and i will keep you posted about me so keep coming here for more of me. Do you know the meaning of word 'NIVID'? 'NIVID' is early form of Mantra. Its origin is described in the Aitareya-Brahmana. Prajapati, filled with desire for creation, gave himself up to tapasya in silence for a year, and then uttered the first Word twelve times, from which emerged the Universe. This Word of twelve syllables is known as 'NIVID'. Nivids are described as being 'ancient' and 'many' in several passages in the Rigveda. 'Prayer for invoking or calling upon a deity', 'an entreaty for aid and guidance from a Muse, deity', 'the act of invoking or calling upon a deity, spirit, etc., for aid, protection, inspiration'. Happy Holi to all of you...!! !